BR-V is an upcoming compact SUV from Honda whose official photo sketches were released during June and for the very first time the BR-V was showcased in Indonesian auto show. 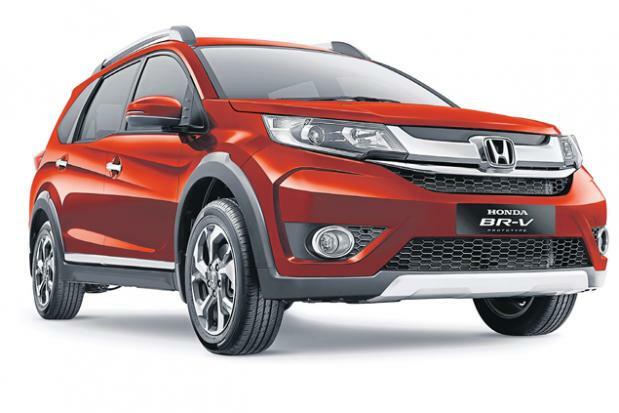 Very recently, in the first week of October the production ready Honda BR-V was spotted in Urban Titanium Grey colour. A report from AutoCarIndia has confirmed that Honda’s India-bound BR-V shall roll out of Honda‘s Tapukara facility in Rajasthan. The production of Honda BR-V in India is scheduled to start from April 2016 onwards with an annual production capacity of 36,000 units. The Tapkuru facility in Rajasthan could 36,000 units. The car which was first exhibited at the Gaikindo Indonesia International Auto Show in the month of August would be available in 2 different engine variants – petrol and diesel. Honda BR-V’s petrol variant is going to be fitted with the 1.5 litre i-VTEC engine where as the diesel model of Honda BR-V is likely to get the same engine which works good in city conditions. The seven-seater Honda BR-V is going to compete with other potential Compact SUV competitors like Hyundai Creta, Renault Duster and Ford EcoSport. Honda BR-V’s safety features include ABS ( Anti-lock braking system), EBD (Electronic braking distribution system), stability control, hill-start assist, airbags and the price of Honda BR-V would be between Rs. 10 lakhs to 13 lakhs (Indonesian value). Also check our earlier report: Will Honda BR-V SUV head to India?